Today, when technology and automation has concerned all spheres of practical activity, printing equipment must also meet the requirements of functionality and technological level. We would like to introduce you a new modern printer Epson XP-700 from the Epson Expression series for home. In addition to the basic features of a printer, a scanner and a copier the multifunctional device Epson XP-700 combines a variety of additional functions in itself, what makes working with it even easier and more convenient. 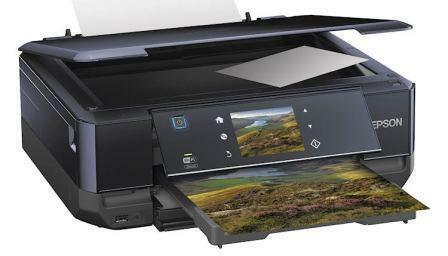 The printer Epson Expression Premium XP700 is perfect for all fans of color photographs. With its high-quality printing and color rendering, it can please their owners with good, bright images. The quality of the photos, printed with the Epson XP700 can be compared to the quality of modern photolabs, and the print speed of a photo is only 12 seconds. This device XP-700 Epson has a fairly restrained design, more focus is made on to the practical features and the compact sizes of the printer. With all his multifunctionality, it has a small overall size. Using the printer XP-700, we have the ability to print not only on paper but also on CD / DVD disks. With this aim an additional tray with a special surface for inkjet printing is integrated into the printer. Good color rendition and contrast range of images. The manufacturers of the Epson xp700 took care of their customers and have made this device an easy one to use, providing it with all new modern technologies. First of all, that is the feature of wireless and remote printing. For this purpose, the multi-functional printer Epson Expression Photo XP-750 has a built in Bluetooth module, a memory card reader and Wi-Fi. Also, the color LCD display plays an important role combined with a diagonal of 8.8 cm and sensory touch control panel, by means of which we are able to manage our device, to select, to view and to edit images for printing. The modern module Wi-Fi Direct allows us not only to connect to the device from a convenient location in seconds, but to build a wireless network between your computer and other devices simultaneously and without any inconvenience. The Printer XP-700 supports the Epson Connect service, via which we can print or scan documents remotely from mobile phones, tablet PCs and other devices based on iOS or Android. In this case, we would need only to install a simple application Epson iPrint. What is particularly interesting, and it is sometimes even necessary вЂ“ it is to print from any place of the world. For this purpose the Epson Connect offers an Epson Email Print application вЂ“ to print the documents or photos via e-mail. Also this MFP has a function of Duplex вЂ“ an automatic two-sided printing, which speeds up the process of work greatly. The printer Epson Expression Premium XP700, as well as Epson Expression Home XP-800, distinguishes itself with a special piezoelectric printing technology. The main element in all Epson inkjet printers is the MicroPiezo printhead, the major feature of which is its durability. Even after heavy usage, the printing quality is not decreased, and the device is still makes us happy with its excellent operation. The using of the printer Epson XP-700 leads to one important problem вЂ“ expensive cost of genuine consumables. The INKSYSTEM company offers you a cost-effective solution for this problem вЂ“ a high-quality and reliable system of continuous ink supply. With CISS you can save on printing in more than 30 times. 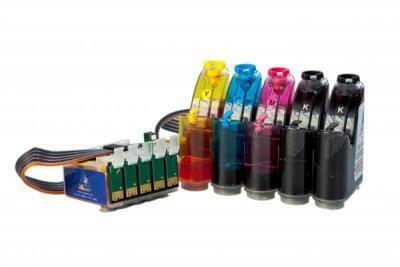 You will not need to change the expensive original cartridges any longer, and the printing will make you happy with its good quality for extremely long time.